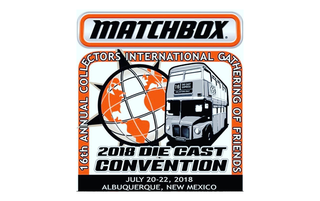 The 16th Matchbox Collectors Gathering of Friends Starts Tomorrow! As usual, tomorrow (Friday) is for registration and the meet and greet. The presentations take place on Saturday, with the Gathering dinner, auction (Mattel-donated prepros!! ), and new model presentation during Saturday evening. Sunday is the toy show and sale. Everything takes place in the Mariott Hotel in Albuquerque, and is run by Matchbox collector Jim Gallegos. In fact, LaLD did send representation (our mods mycarneverruns87 and EL_ULY) to the 14th Gathering two years ago. The schedule is below, in the Instagram post. Updates will probably be posted on the @mc_gathering Instagram page, along with some on the personal pages of various Matchbox collectors and former Matchbox Ambassadors.